Lions and tigers and bears–that is what zoos are all about. Right? I had not been to Kansas City’s zoo for years But I charmed my great friend, Denise, into a weekend visit. We never did see any lions, or tigers or bears. It was hot outside and they were hiding somewhere cool. This wonderful leopard was alone worth the visit. Even as it slept in the shade, we knew we wouldn’t want to meet it in the wild. Today’s zoo is nothing like the zoo of my childhood. Once packed into a small area within Swope Park, the zoo has grown to provide an environment for animals and visitors that give us at least some sense of how the animals might actually live in the wild–well, absent the whole process of catching and eating other zoo animals! Some areas of the zoo property appear to the eye to be in the wilderness. It is easy to forget we are in the middle of a metropolitan area. The challenge is that it can actually be difficult to find, let alone photograph, the zoo’s inhabitants. The sense of isolation is worth it. Denise and I bought platinum tickets which allowed us to ride the trains, buses, trams and gondolas without standing in additional lines. The rides themselves became part of the fun. With many animals we expected to see napping in the shade, we transferred our attention to animals and birds that seemed to thrive in the sun. 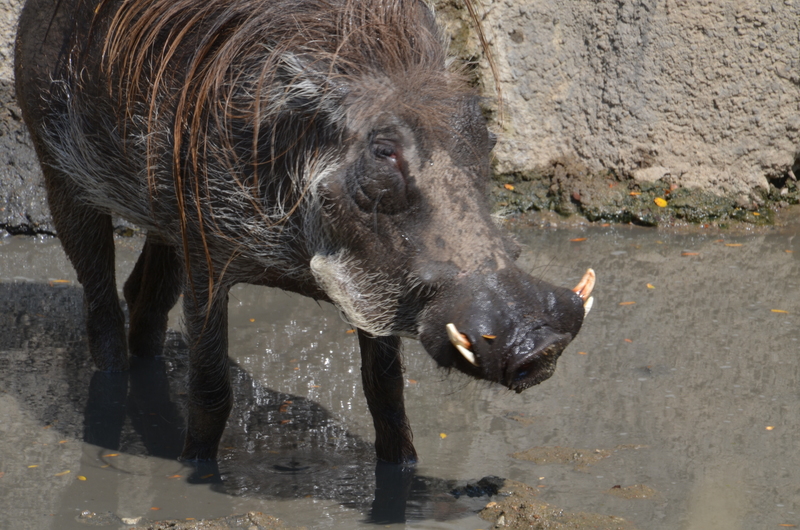 We had a great time watching the warthogs bath in the muddy stream. Seriously, I have rarely seen animals in greater need of a makeover! But they were wonderful to watch. While giving the appearance of open country, the zoo’s exhibits are carefully divided in such a way that the animals are safe from each other. Often multiple animals and birds were in the same areas. They happily ignore each other. 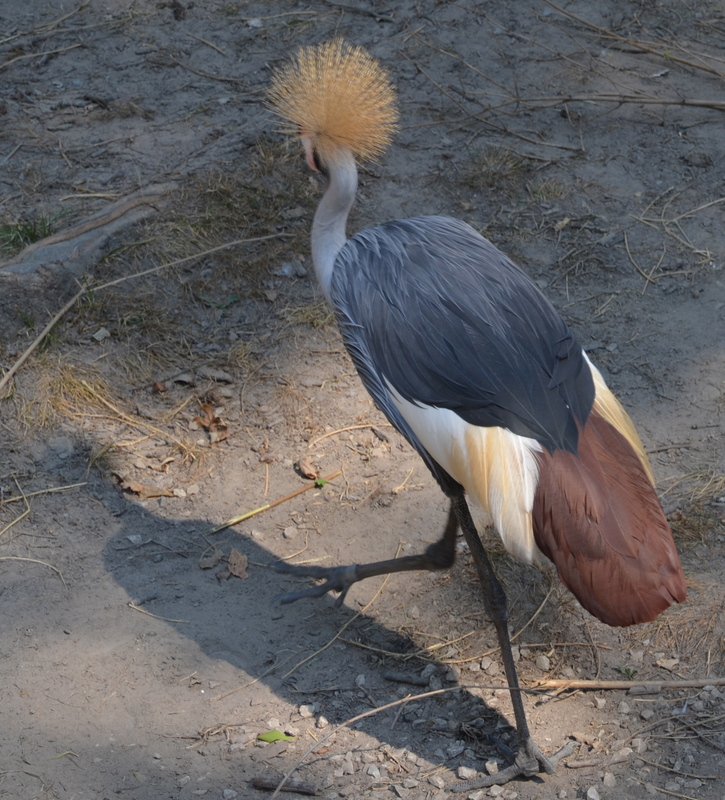 There were a wonderfully rich variety of colorful birds throughout the exhibit. Many were best seen from the gondola. We will return in cooler weather. Hopefully we will find an entirely different group of interesting zoo inhabitants to photograph. I am looking forward to it. This entry was posted in Environment, Photography and tagged Africa, Kansas City Zoo, Leopard, love, Nature, Warthog, Wildlife. Bookmark the permalink. The zoo was always my favorite so lucky for me my children never tired of it. Never heard of the movie. But a warthog is definitely worthy of at least a bit part.